While operational commanders try to target an elusive enemy from the air over Iraq and Syria, senior U.S. commanders and aerospace academics are wrestling with an associated question: how to take advantage of tremendous advances in information networking to prosecute modern air campaigns. 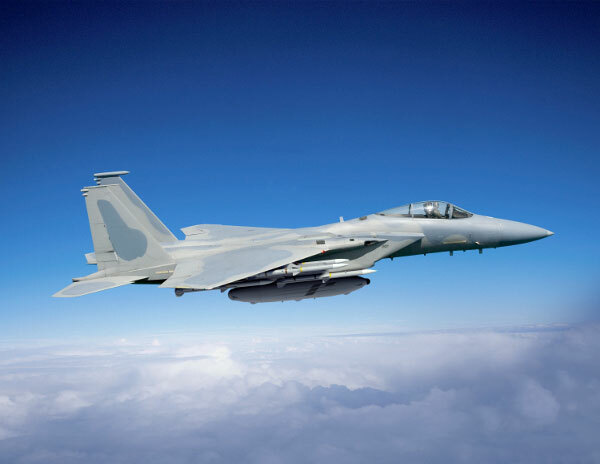 During the recent Air Force Association (AFA) conference, the shortcomings of current military air systems networking were explored in some frank comments during a panel session entitled “The Combat Cloud,” and in other discourse. “As we speak, the Marines are running around the desert in Yuma, Arizona, desperately trying to figure out how to incorporate the F-35 into the Marine Air Ground Task Force [MAGTF],” said David Fahrenkrug, an author who has led work on the combat cloud at the Mitchell Institute for Airpower Studies. Gen Mike Hostage, commander of Air Combat Command, also referenced the discrete nature of the F-35’s Multifunction Advanced Data Link (MADL), telling journalists he is “professionally appalled” that the F-35 and the F-22 can’t even swap data, let alone network with non-stealthy, fourth-generation fighters and other assets. The F-22 is equipped with an equally discrete Intra-Flight Data Link (IFDL). “A fifth-to-fourth gen solution is our highest priority. I need to leverage all of the [sensor] fusion capacity on board the fifth-gen to help the fourth-gen,” he added. Former Secretary of the Air Force Michael Wynne noted that this is not just a U.S. problem, since international partners will be operating F-35s, also alongside fourth-generation jets. Generals Hostage and Carlisle agreed that “exquisite solutions” such as waveform-agnostic communications are still some way into the future. Some interim solutions to superior networking during combat air operations have appeared. Over Afghanistan (and now probably Iraq), the U.S. Air Force has flown the Battlefield Airborne Communications Node (BACN), a communications translator and gateway, that Northrop Grumman developed on a manned aircraft and then on the Global Hawk Block 20 UAV. Boeing announced last month that it had completed the final design review for Talon HATE, another Air Force program that receives, combines and transmits combat information from disparate sources, including “national assets.” It includes an integration of the F-22’s IFDL with the Multifunction Information Distribution System-JTRS system that is carried by fourth-gen fighters. The Talon HATE system will initially be packaged for carriage in a large pod beneath F-15 fighters, with first deliveries due next year. In theory, the system could easily be accommodated on the Air Force’s E-3 Awacs and E-8 JStars, but these cannot safely operate closer than 200 miles to contested airspace, the service believes.